Our hotel is the optimum selection for business trip and for visiting event arena, leisure facility, and so forth. SANRITSU Corporation is a limited company, [Yawatajuku Dai-ichi Hotel Official Page Web Site] in the case of use of the personal information you provide us with your careful handling and the protection of our privacy. In the following case, I will use the registered information. Specification of the visitor who reserved. Specification of an address in the case of distributing reservation definite declaration. A visitor’s attestation in the case of hearing the check of reservation, or cancellation. A statistical works, such as a total for improvement in grasp of a visitor’s use history, and service, sake. When the reply to an inquiry is given. In addition, when a visitor needs to be specified in the service a hotel is allowed to provide. Our company may do unspecified period maintenance of the offered information. The information concerned is protected like the information acquired from a telephone or mail. Our company never provides a third party with the information which can specify the offered individual. However, in the following cases, a third party may be disclosed or provided with personal information. When there is a request from government and municipal offices, such as the police. When a law is in related many statutes. At this corporation it makes the management of private information of the customer the employee be thorough, as leakage illegitimate access alteration loss destruction and the like to outside not occurred, it endeavors to strengthening the security. 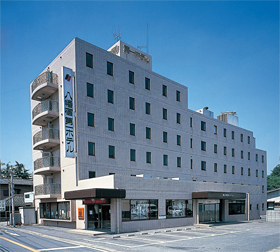 When information of specification of the customer changes, or when the customer deletion of private information it is desired, the limited company Sanritsu corporation ‘ Yawata inn Dai-ichi Hotel Co., Ltd. ‘ it corrects the private information which was offered from the customer, it renews, or deletes. When it corresponds, please communicate to Yawata inn Dai-ichi Hotel Co., Ltd. web charge. The processing where the manager who has the authority which is accessed the database is appropriate is done. When there is modification in communication method, at this web sight we inform. When correction of private information and the indication of deletion is received, the processing where the manager who has the authority which is accessed the database is appropriate is done. Copyright© Yawatajuku Dai-ichi Hotel All Rights Reserved.